Officials said they want to confine vape stores and hookah lounges to light industrial zones in the town and away from residential areas. Oyster Bay Town Supervisor Joseph Saladino has proposed new restrictions on the sale of electronic cigarettes and the location of hookah lounges in the town over concerns about the impact of the tobacco products on public health and quality of life. 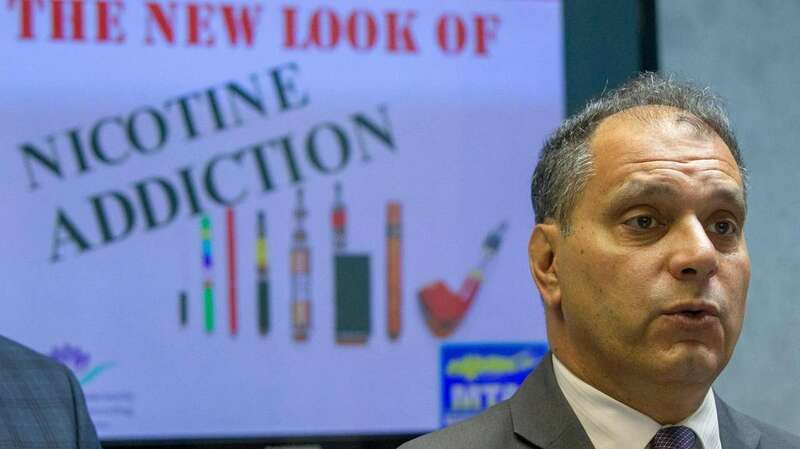 Citing the dangers that e-cigarettes, also known as vapes, pose to the health of young people in particular, Saladino said the new legislation would keep vape stores and hookah lounges confined to light industrial zones in the town. "The public made it loud and clear, they don't want more vape shops and these lounges in residential areas, near schools," he said. "These initiatives will help protect young people and the overall quality of life in the town." The proposal, if approved by the town board, would require vape shops to post warnings about the dangers of e-cigarettes. It would also prohibit vape shops and hookah lounges from opening within 1,000 feet of residential zones, schools, libraries and other gathering places, Saladino said. 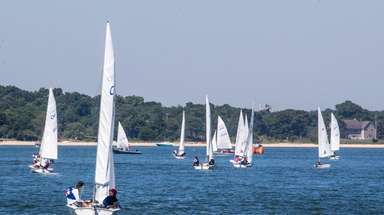 A number of other Long Island municipalities have sought to curb the proliferation of such establishments in recent years. Brookhaven in 2016 banned new indoor smoking lounges from sites near homes and public places. Smithtown last year restricted hookah lounges and vape stores from operating within 1,500 feet of parks, playgrounds, schools and religious institutions, and Hempstead began requiring vape stores to post signs warning that they contain nicotine that is addictive and that smoking them can be a health hazard. The New York State Department of Health describes e-cigarette use among young people as "a major public health concern," as the nicotine they contain is very addictive and can be harmful to developing brains. The rate of e-cigarette use among young people in the state has nearly doubled from 10.5 percent in 2014 to 20.6 percent in 2016, according to the health department. Saladino said the town board will hold a May 7 public hearing on the proposal.